Hi there! Are you tired of the endless winter yet? I know I am! I desperately need something to cheer me up - winter doldrums, I tell ya! Well, take heart dear readers! You are in for an absolute and I mean an ABSOLUTE treat today! We have a guest blogger in the house and what she is about to share will knock your socks and your winter blues off! I am honored to introduce Sruthi Singh of the East Coast Desi. She is an inspiring stylist, photographer, home decor enthusiast and blogger and one of my absolute favorites! 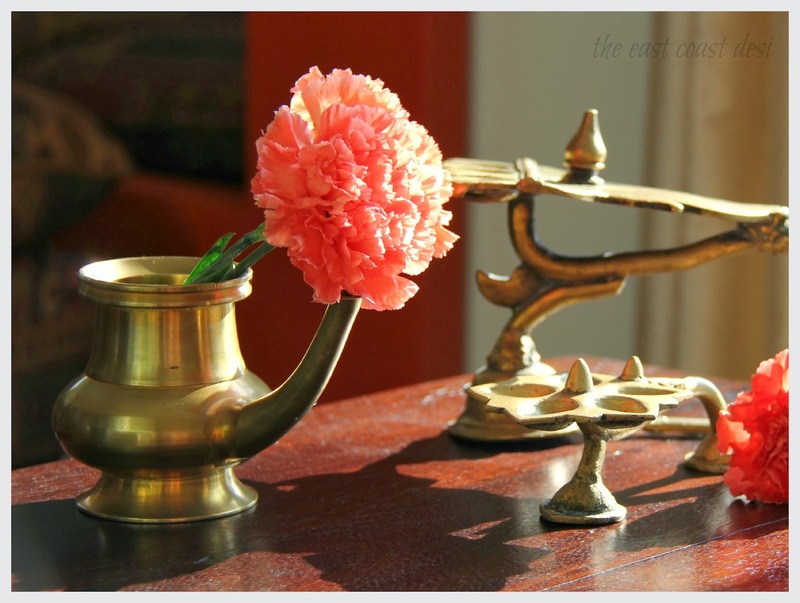 I love her airy photography, resourceful posts and desi inspirations! Her posts , each one an oeuvre d'art, make my morning cup of tea that much more enjoyable! Her blog is fabulous because it is a testament to her natural artistic ability and her keen awareness of what her audience wants! It is a great pleasure to have her over at Aalayam today. 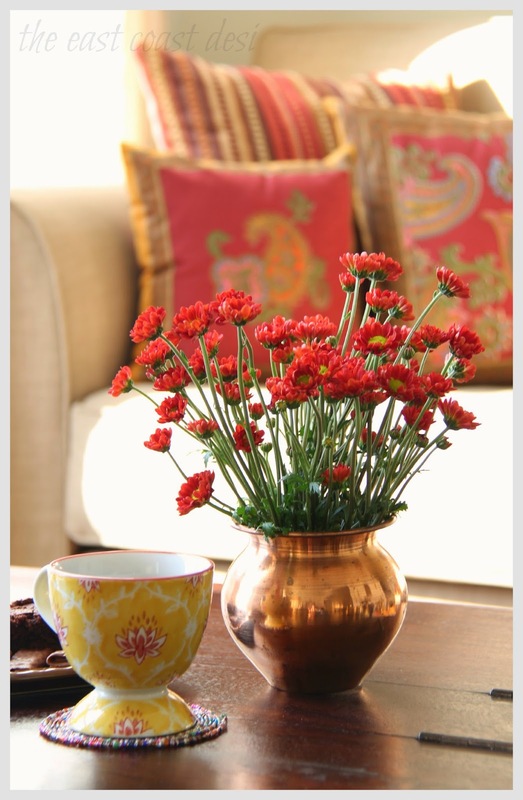 Via 18 stylishly fashioned shots, floral arrangements and vignettes, Sruthi talks about adding color, life, texture and energy to your space. 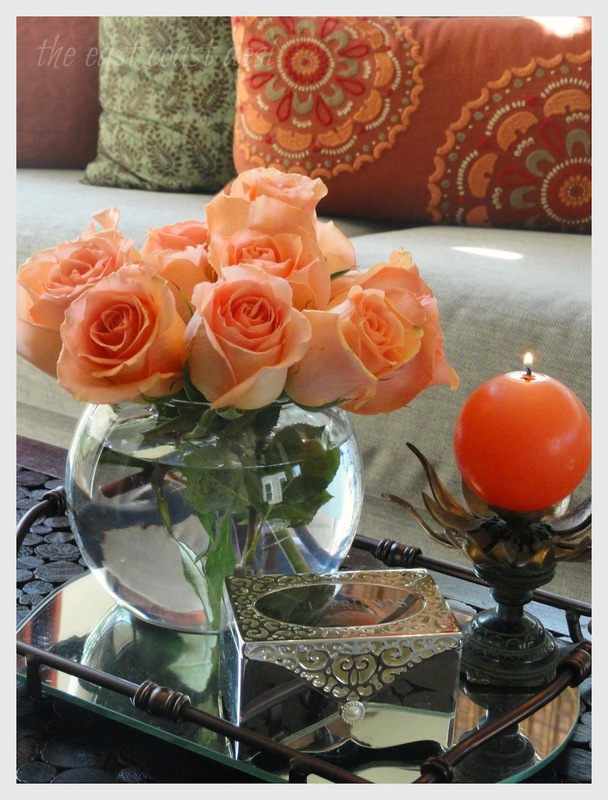 Pay attention as she imparts some great lessons in styling floral compositions! Valentine's day is around the corner - why not spice things up naturally? Flowers have been an eternal symbol of love. We hope you draw inspiration from our post today to get you into the amorous spirit this Valentine's day. Thank you Sruthi Singh! We love collaborating with artists and creative talents like yourself to generate value for our readers. So, thanks for willingly taking this on. What a fantastic post! I am sure Aalayam readers will love it as much as I did. Before I turn it over to Sruthi , here is the link to her blog. Make sure to sign up because you don't want to miss her posts! "I'm honored and delighted to be guest authoring at Aalayam today. I would like to thank Deepa for the wonderful introduction and for inviting me to be a part of Aalayam. 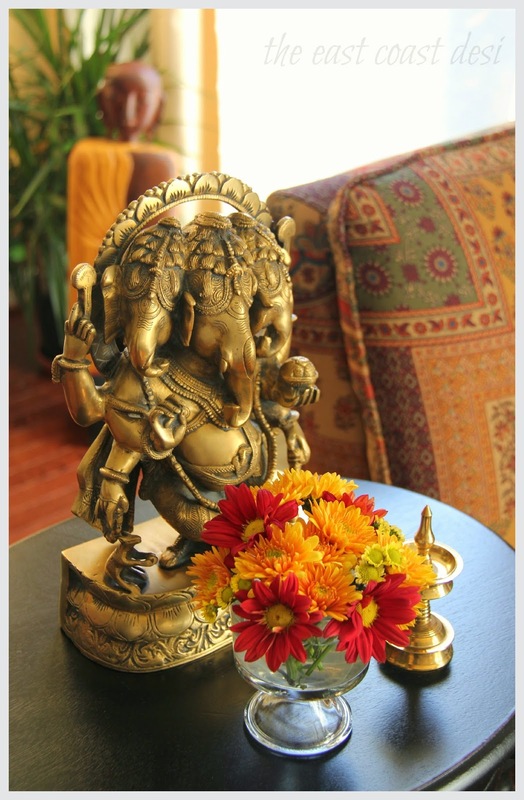 The team at Aalayam has been doing a commendable job in expressing India, it's art, craft and decor in a novel way. Wishing them luck for Aalayam and more!!!! As for today's post, I had an incredible time putting it together for the Aalayam readers. Without further ado, let’s get started……. I think I can safely say that indulging in flowers has therapeutic benefits. Apart from being visually enticing, flowers seem to have an unparalleled effect on all our senses. Their simplicity, form, beauty and sensual floral fragrance gives us an opportunity to experience nature up, close and personal. 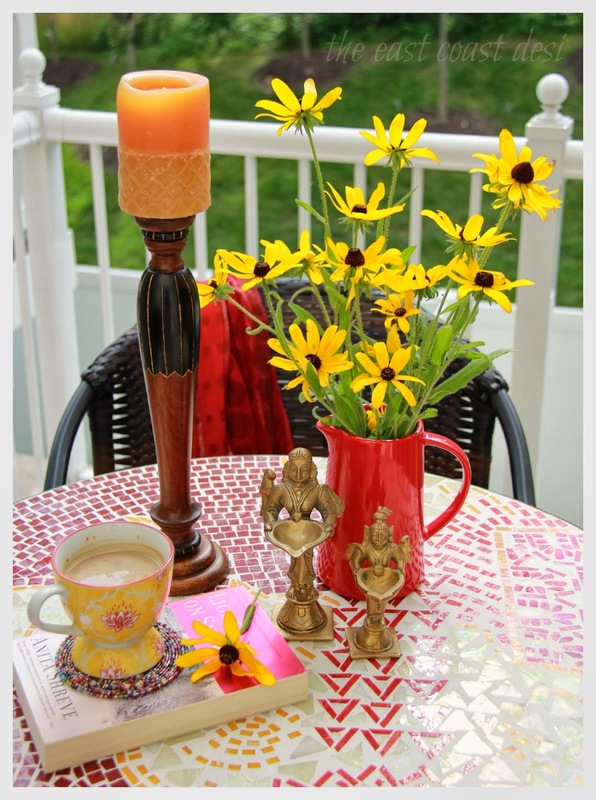 Those familiar with my blog "The East Coast Desi" and my decorating style, know that flowers are an indispensable element in decorating my space. To match the uniqueness and individuality of flowers, the choice of containers in which they are housed should be equally exclusive, helping us create elegant compositions. Apart from being a visual link between the blooms and their backdrop, containers can also be statement pieces by themselves. These receptacles foster the blooms when not in their natural environment and thus play a pivotal role in keeping the blooms alive. 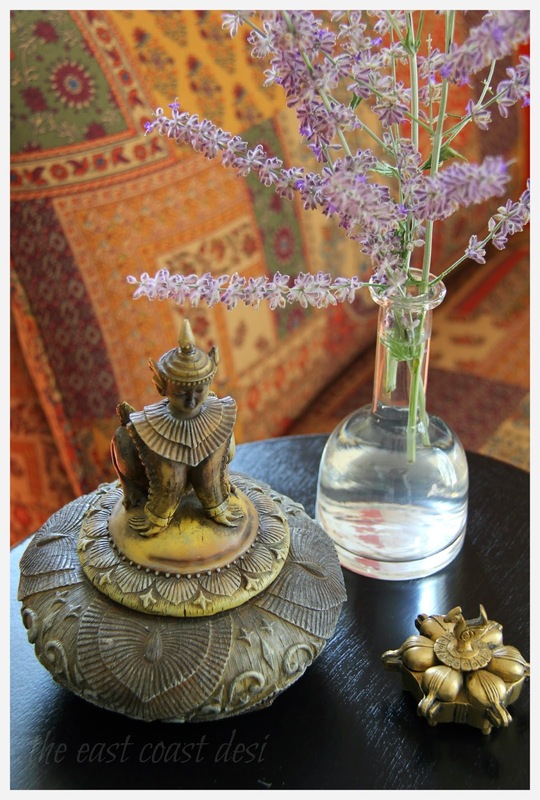 Working with unique vases does not have to be an extravagant affair. I personally like to use an assortment of “found” receptacles to create displays around my home. Using unconventional containers as vases, helps create stunning arrangements and makes for a wonderful conversation piece. As you’ll will see, most of my vases come from my kitchen - kettles, vinaigrette bottles, ceramic creamers or jugs, colored goblets, trifle bowls and vintage beer mugs to name a few. I do hope you'll enjoy the snapshots of inspiring and exciting variations of adaptive containers that I've used to add beauty to my home. 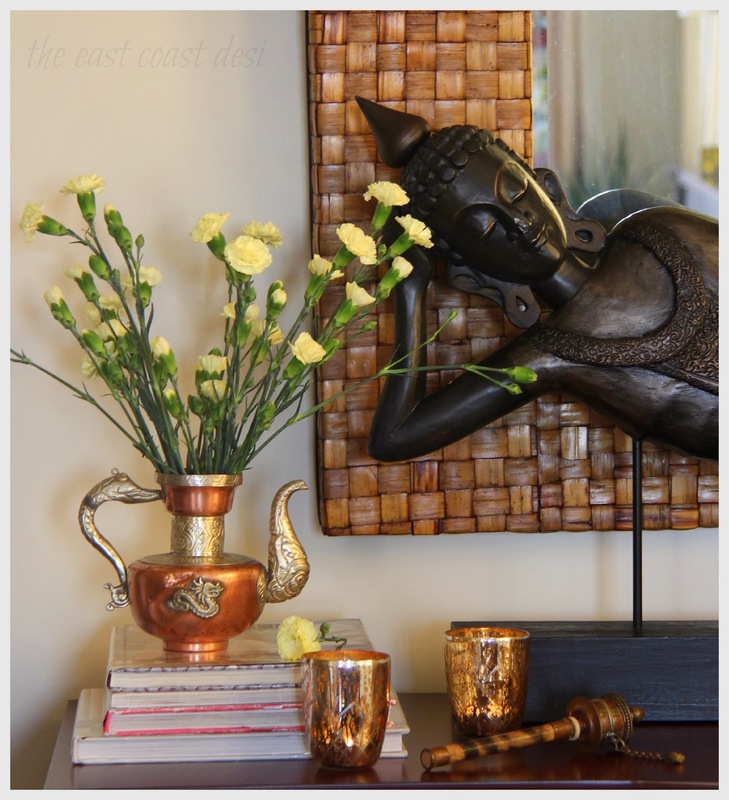 This floral arrangements has been created using a Ghee Silver Copper Teapot from Tibet. Used to serve the Tibetan Ghee tea, I’ve adapted it to display a bunch of pale yellow carnation. 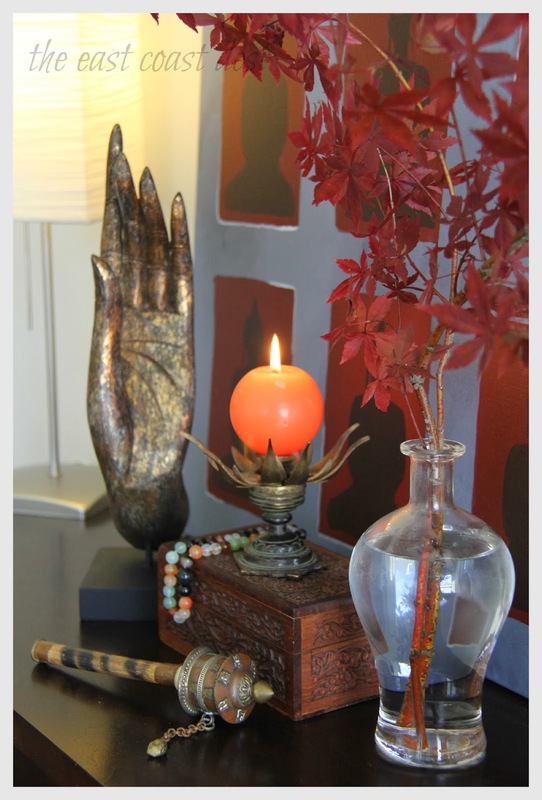 In grouping with a Buddha and mercury glass votive holders, you have yourself a calming zen corner. Creating a personal space with a distinct style is not a herculean task, if you surround yourself with knick-knacks and pieces that have a special meaning to you or memory associated with it. Here, I've used an unpretentious copper "kalash" that was used during the puja for our house warming ceremony. Displayed around the house with the Button Poms gently tucked into the container, it reminds me of the wonderful moment when we set foot into our home. While on the topic of creating a space filled with memories and history, there's nothing like a wonderful heirloom piece to add to your decor. Backed by history and traces of time, a vintage brass beer mug that belonged to my granddad (one of my prized heirloom possessions), is an absolute favorite as a vase. Used to arrange a few stems of magenta Dahlias makes for a strikingly simple arrangement that adds instant color to my space. Coming from India, I'd like to describe my style as eclectically Indian. Metal containers made of brass, copper and silver with their burnished and tarnished surfaces lend a rustic traditional touch to an arrangement. Personally, I have a penchant for the classic brass urlis' during the festive season. Their open structure favors creating exotic floating floral arrangements that are perfect for a festive occasion. Now let’s look into those kitchen cabinets and improvise with what we got. Ceramic jugs and coffee creamers in brilliant color tones are perfect vases. They bring a little drama to a morning brunch with friends or intensify the style quotient to an alfresco tea time. 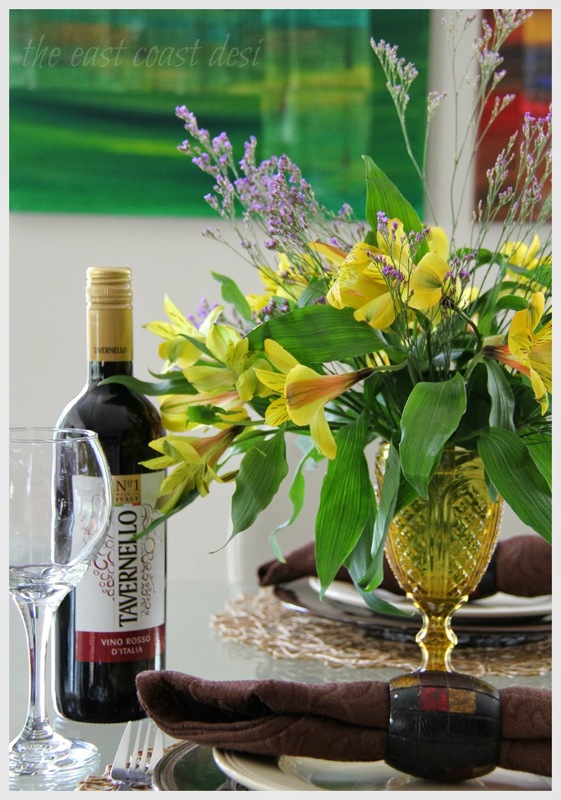 Ever thought of using trifle bowls and vinaigrette bottles as vases??? 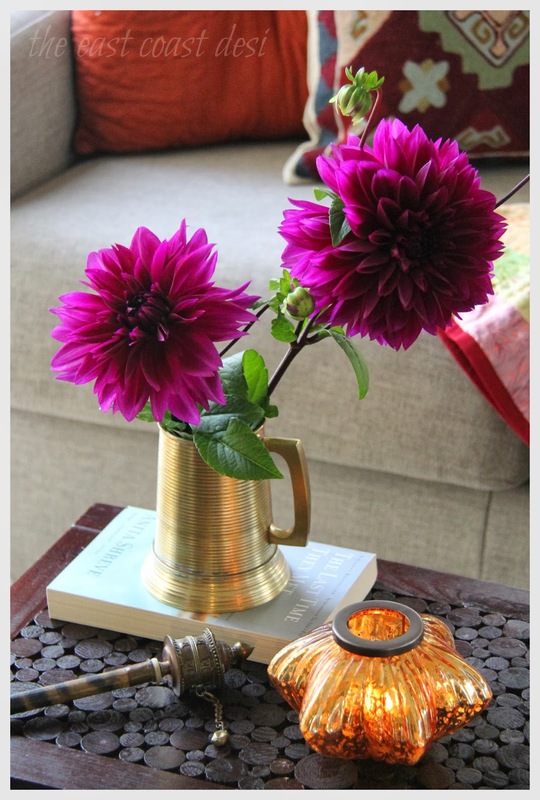 If not, then take a look at the inventive vases used to make attractive displays. Be it Chrysanthemums or autumn foliage, the clear glass receptacles with their neutral quality showoff the flower/foliage from the petal to their stem. 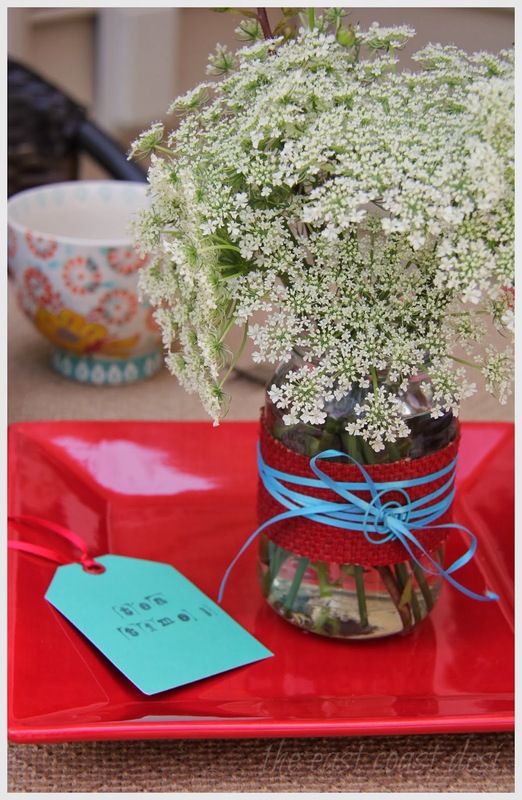 Up-cycled pasta sauce or salsa bottles can be given a new lease of life with colorful ribbons, washi tape or raffia. I've used some recycled jute from a rice bag, ribbon and a paper clip to create a vase for a dear friend. Studded with Queen Anne's lace this simple arrangement speaks volumes of your creative labor. 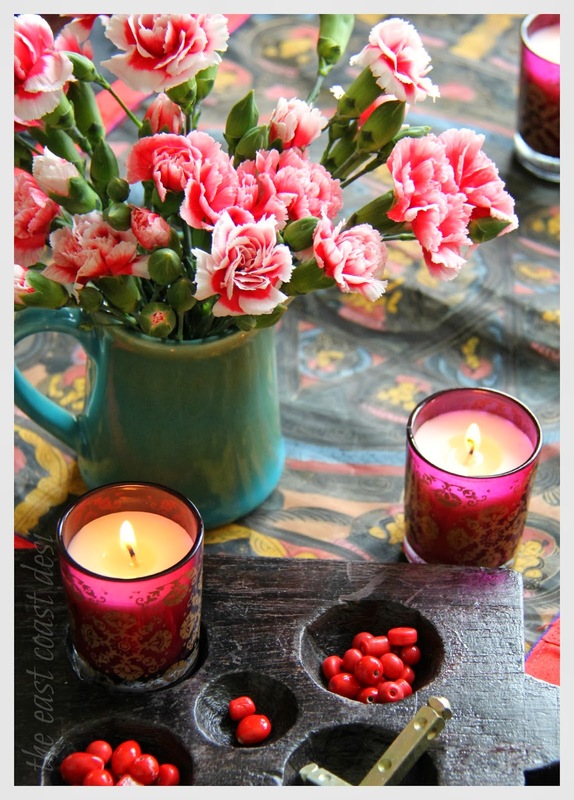 Colored glass votive holders or goblets are another wonderful alternative to the conventional vase. They supplement the color quotient of the display and by contrasting the blooms against the vase you have yourself a vibrant potent arrangement. 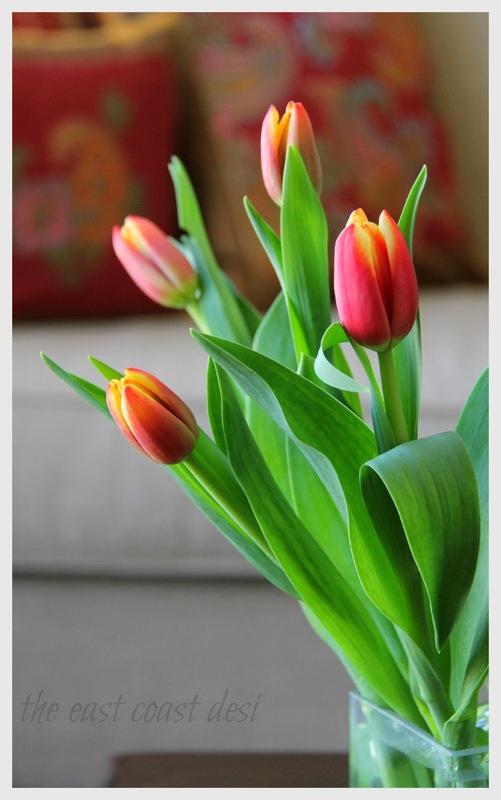 For an alternate take on cut blooms, one could also use small potted flowering plants that work well indoors. 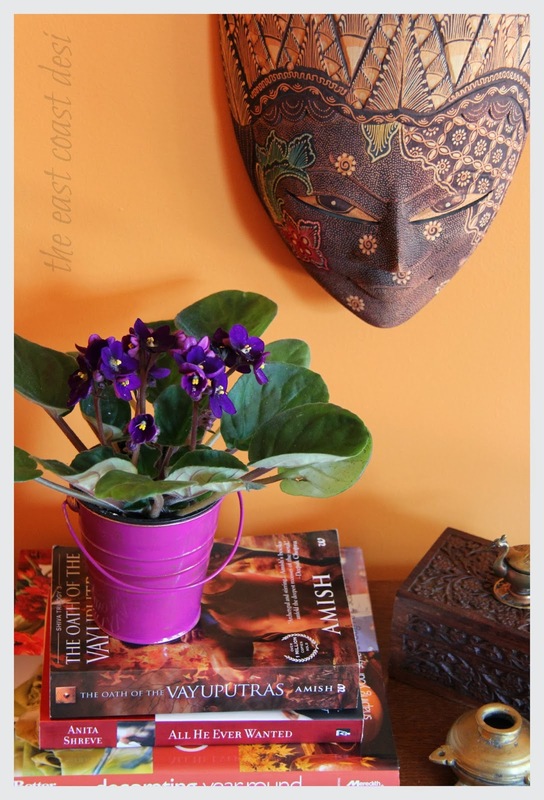 One of my absolute go to plants for indoors are the African violets. The longevity of potted plants is longer when compared to cut blooms. But the container to hold the potted plant does not have to be unimaginative. This wonderful brightly colored pail is a unique container that adds color and character to the decor. 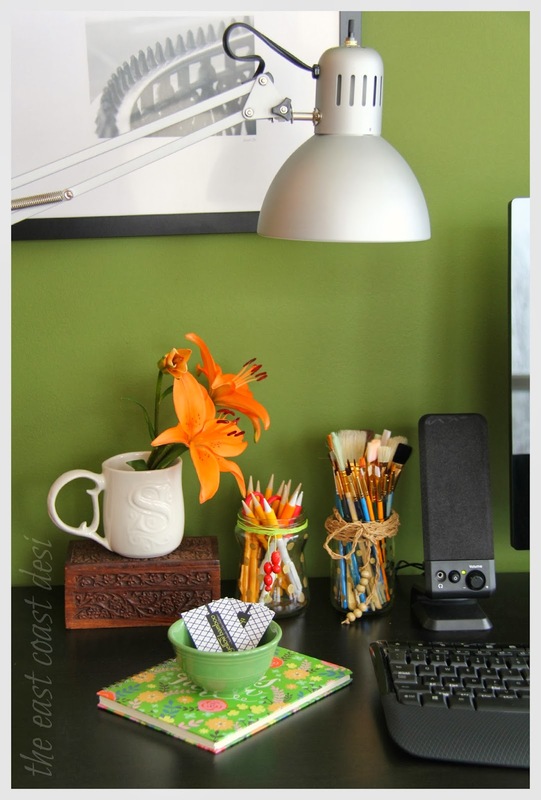 Your home office or work space could also use a touch of creativity. Ceramic monogrammed mugs with a few sprays of your favorite blooms are a wonderful way to mark your territory. 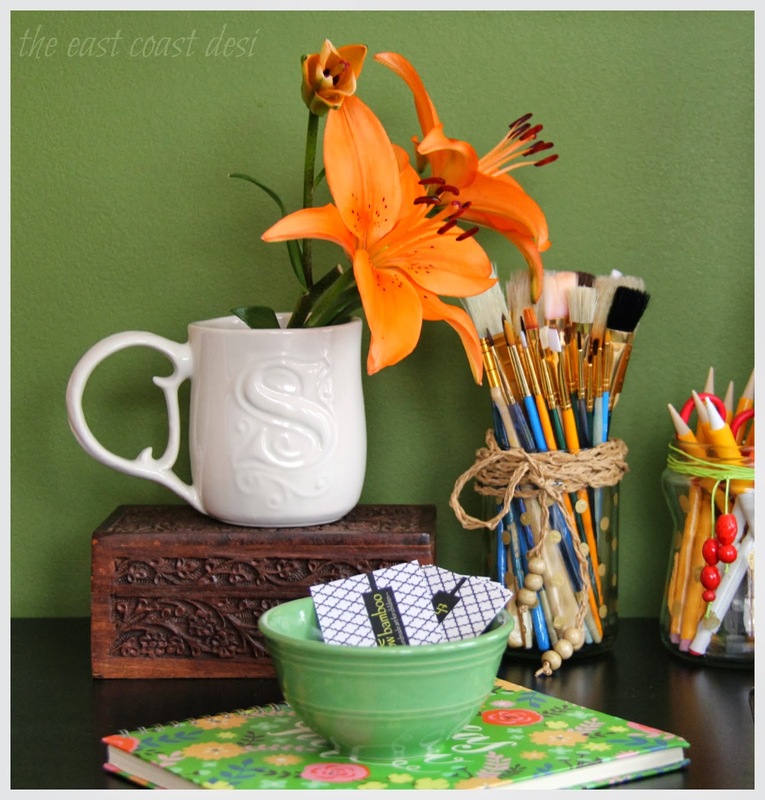 How perfect is this deliberately simple exhibit of Oriental Lilies in a white mug for a visual spark ??? Did that not just take your breath away? It was also great to see glimpses of her well-edited home that is so grounded in classic elegance. Once again, thank you Shruthi Singh. 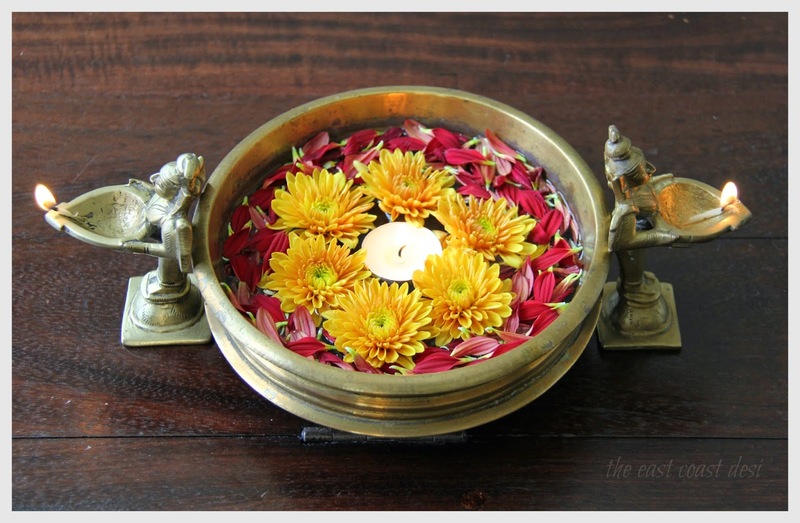 Supriya and I jointly authored a post on decorating with fresh flowers a while back. In case you missed it, here is the link. And here is a hint on what we are working on next - Master bedroom, valentine's day ....shshsh, I am not saying more! Such a lively post. Enjoyed reading and enjoyed the visuals as well. Thank you Arathi. Sruthi's compositions and pictures are perfect! So many inspirations... I will definitely be referring to these pictures come Spring! Absolutely delightful! I loved each picture and the how to's! Thank you! Thank you for stopping by. I have to catch up on all my favorite blogs- including yours! Hope things are well at your end? 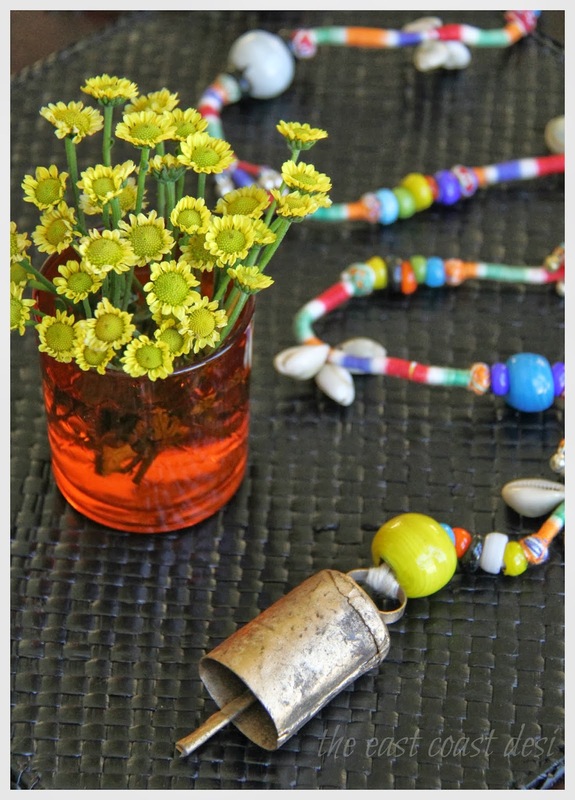 Indeed, sruthi's work -her blog and and her pics are a delight! I am glad she willingly agreed to work on this for Aalayam. Thank you for the wonderful introduction Deepa.....I'm so glad I got a chance to connect with you and could be a part of Aalayam. Wishing you and Supriya all the very best !!! You are very welcome. The feeling is mutual! ghee tea or the tibetan tea is often flitered through yak butter and salt! Haven't tasted it personally and so couldn't vouch for the taste - sounds interesting though? Apeejay Business Center Provides shared office space in pune and shared office space pune or shared office space on Rent suitable to your Business in pune at competitive Rates.